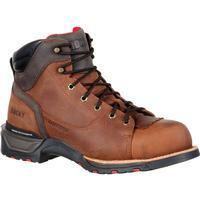 The Rocky® IronClad Waterproof Lace To Toe Work Boot combines safety features with a concentration on comfort. 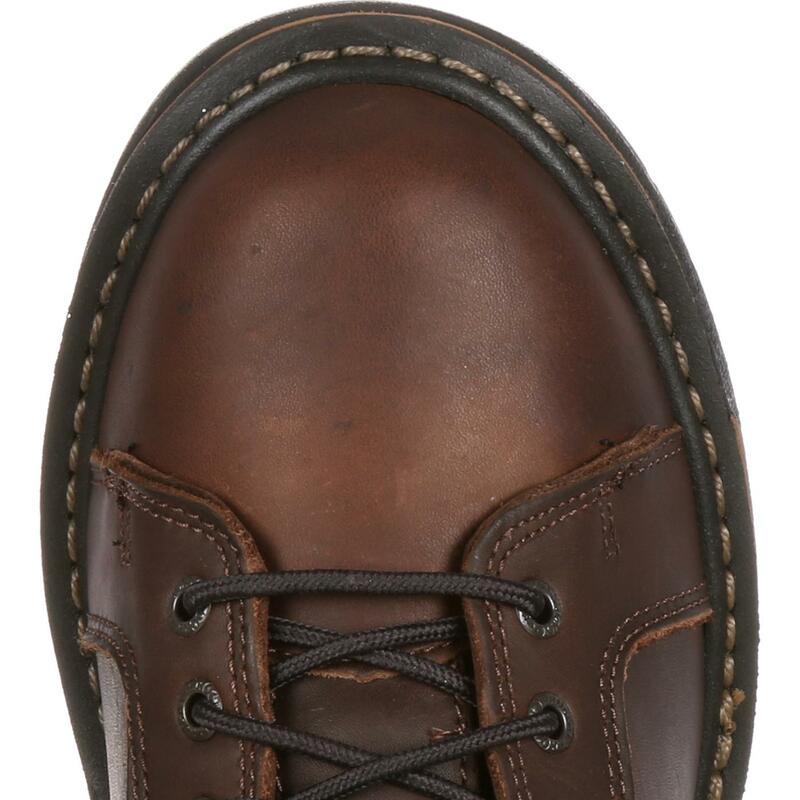 It's the sturdy shoe that'll get you through the toughest of work days. 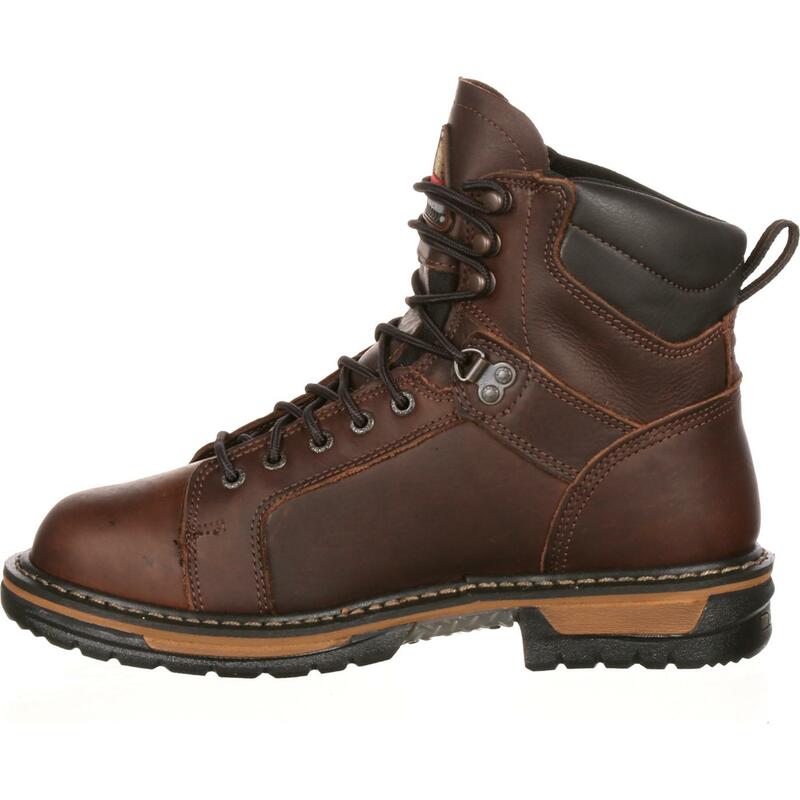 With six inches of dark brown, full-grain leather protecting your feet, you can feel empowered to exceed expectations and enjoy the work you do. 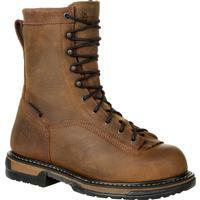 This boot is complete with an extra-durable ribbed tempered steel shank for safety and support. Walk on, worry-free with the protection your duties call for. 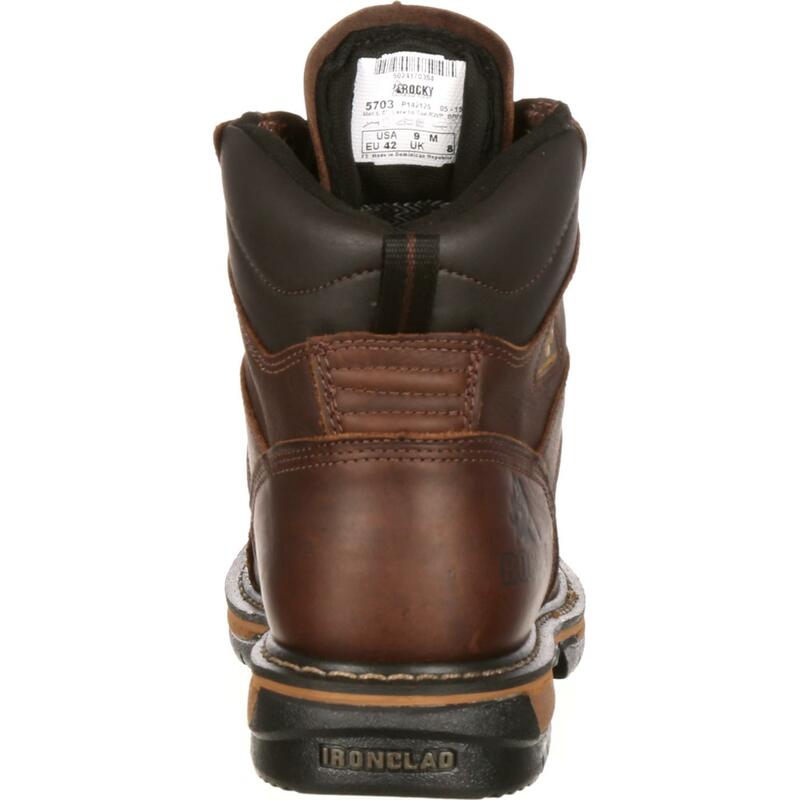 The seven-layer slip and oil-resistant IronClad outsole offers additional sturdiness to your stride. With high-quality tread and strategic flexibility, this footwear has your foot's well-being covered, letting you focus on the tasks about which you care most. Guaranteed Rocky Waterproof construction empowers you in the face of unexpected obstacles. 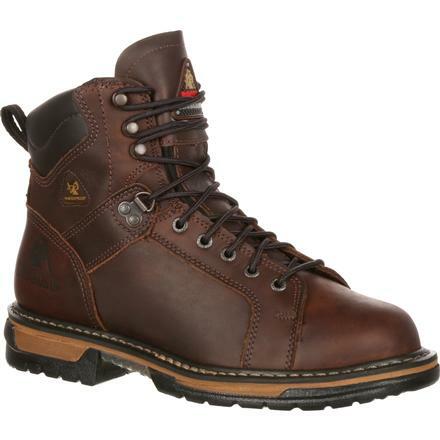 Whether it's a breakroom spill, a warehouse flood or an outdoor assignment in inclement weather, you can feel comfortable knowing your feet will be dry at the end of the day in this waterproof work boot. 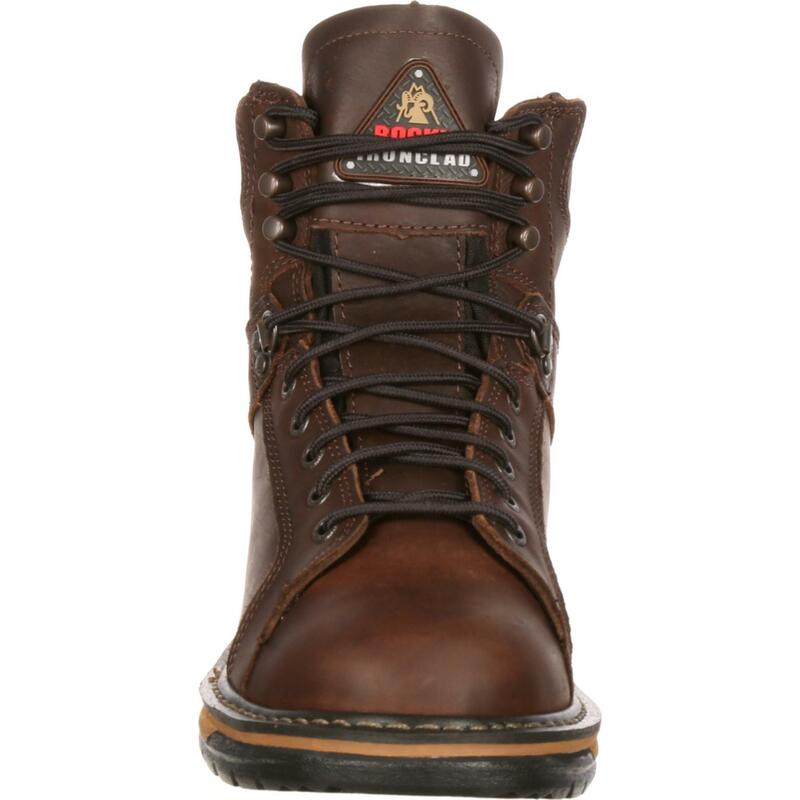 Rocky included a removable Air-Port™ comfort insole for additional relief. 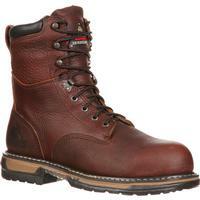 This thoughtfully crafted feature contributes coziness and breathability to make this a comfortable work boot. You can appreciate its advanced quality and luxury relief in any and all parts of your life. 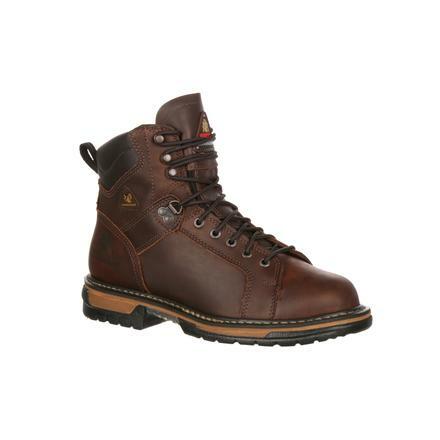 If you're looking for a men's work boot to sustain not just a hard day's work, but the hard work of many days, the Rocky IronClad Waterproof Lace To Toe Work Boot was built for you.